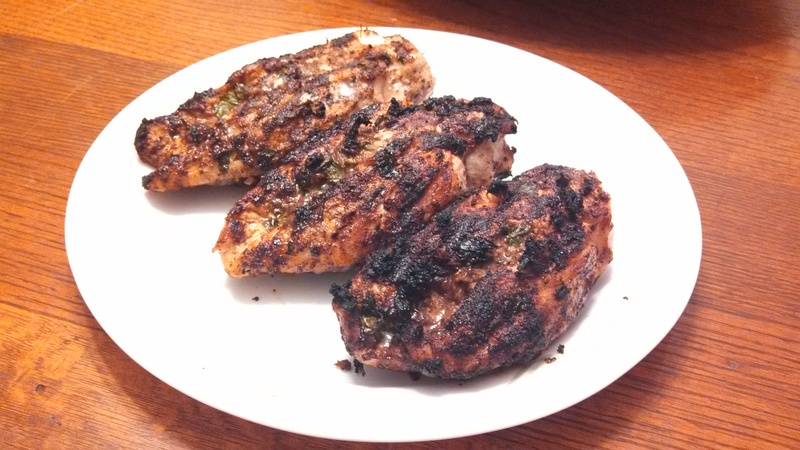 In any case, we decided mid-day that we wanted to grill chicken, since we’ve yet to do that, and I immediately jumped onto Pinterest to look for recipes. I have been discovering new food blogs lately, and found a yummy one from A Spicy Perspective, that I adapted a bit. I even went out and spent $6 on a bottle of garam masala (Test It Tuesday!). It is a blend of spices common in North Indian and South Asian cuisine. It translates as “hot spices.” Depending on the brand (and the authenticity), I’m sure a garam masala blend can vary, but mine included, but wasn’t limited to, coriander, black pepper, cumin, cardamom and cinnamon. The only thing I would do differently next time is omit the extra cumin that the recipe calls for, because cumin packs quite a punch, it’s already in the garam masala, and my husband’s tongue was burning a bit. My co-worker just turned me on to Atlantic Spice Company, which is a warehouse of spices in Cape Cod, that also (obviously) does online ordering. I just looked up garam masala on their website, and it’s super cheap! The ingredients are a bit different, but I’m sure just as tasty! WW value of everything on my plate: 10-12 (WW app says corn on the cob, plain, no additions, is 2pts, but personally, I say 0pts). -Preheat the grill to medium heat. Place the chicken in a large baking dish. 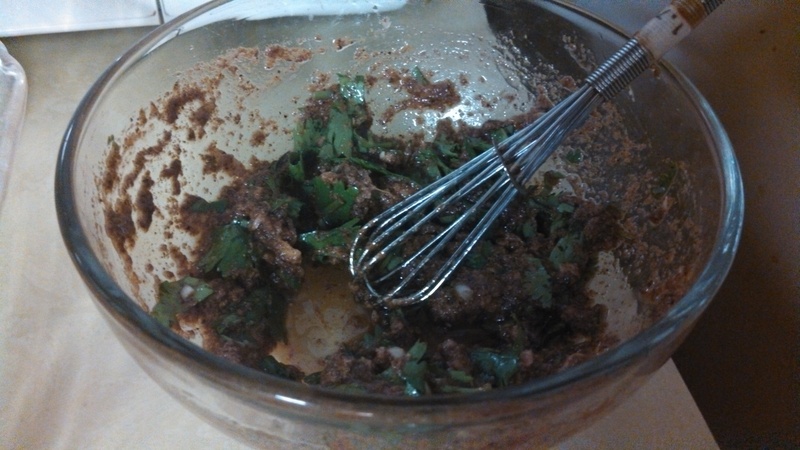 -In a separate bowl, combine all the remaining ingredients and mix well (see first picture). -Rub the mixture over the chicken, with your hands, coating completely. Let it marinate for at least a half hour, to allow the juices to soak into the chicken. 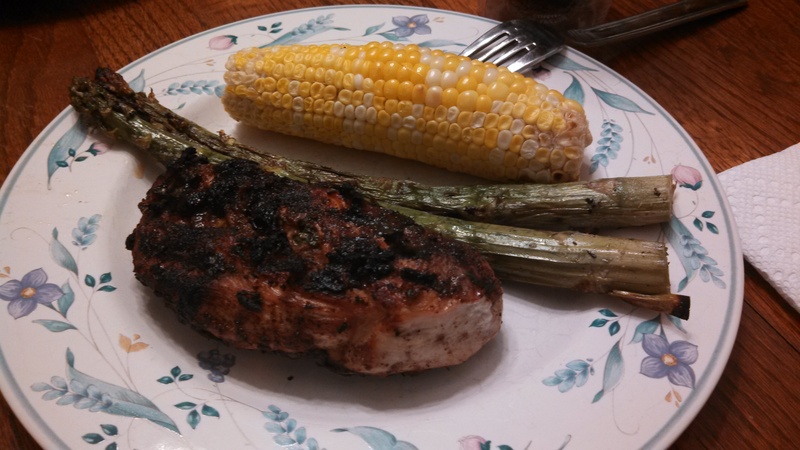 -Grill the chicken for approximately 12 minutes total, turning once; note that your grill may vary. -Wrap corn in tin foil and grill about 20mins, turning occasionally. -Place asparagus in a deep dish, squirt with olive oil, season with adobo, turn to coat. Grill for 20mins directly on the grill, turning often.